Identified as the foremost Manufacturer and Exporter entity, Khodiyar Developers & Infrastructure Private Limited is providing world class range of Drum Mix Plant & Road Construction Machine since the inception in the year 2005. Our dedicated business culture empowers us to handle a broad gamut of highly demanded machinery, such as Mechanical Paver Finisher, Drum Mix Plant and Bitumen Drum Decanter Plant. Our efforts to identify the trend in the market demands equips us to expand our product portfolio by serving comprehensive benefits of cost competitiveness, optimum performance, high durability and low-cost maintenance. We perform every reasonable effort to satisfy the unmet requirements of our clients by achieving leading technological advancements in our business processes. Furthermore, to meet the market challenges our workforce is completely strengthened with extremely advanced infrastructure and a strong vendor base. We link our company strategies to our partnership with our certified source of raw material and logistics partners. Their resourcefulness and enthusiastic attitude contribute to our accelerated success and makes us gratified to serve best in class pumps to some most recognized clients across the country. Our mentor Mr. Suresh L. Patel is an ambitious business persona, who has a treasure of diverse manufacturing expertise. His administration acts as learning partner for us to presents ourselves able in intensifying our competency and heightened growth. We have financed massively in developing an up to date work set up to think and fabricate present-day machinery. Our infrastructural set up supports our operational performance and provides us to develop the future for our company. Divided into manufacturing, warehousing, testing, packaging and distribution department, our infrastructure is fully furnished with leading technological equipment and high-speed machinery. 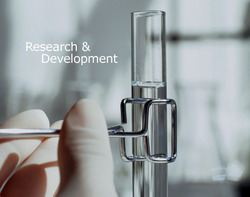 We also have an advanced Research & Development unit that is dedicated for the betterment of our range. The unit is equipped with latest tools and machines that help our professionals in conducting rigorous tests on the entire range. 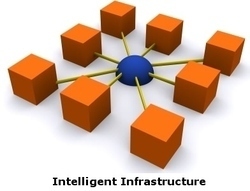 Our R&D experts are highly knowledgeable and well aware of the technicalities of the domain. They are also proficient in using the available tools and suggesting improvements in the range. Our R&D experts also carry out market surveys on regular time intervals to understand the latest changes and requirements. Our diligent workforce comprises a distinct group of outlooks, qualifications and expertise. We owe the speedy pace in our brand image to the inspiring thinkers and performers in our team. We have most qualified and highly stimulating manufacturing experts, engineers, technicians, associates and managers on boards. Further, to sustain a powerful sense of competency, we organize comprehensive training programs. What’s striking about our company is our integrated business approach. We work with close connections to our valuable partners to understand their prospects. Further, our industrial expertise and technological adeptness help us to match our accountability with superior results. The bottom line of our growth is our dedicated work culture that has made our way for a groundbreaking achievement in the competitive sector. Pioneer in launching of several equipments in India like; Wet Mix Macadam plant, 300 TPH Asphalt Drum Mix Plant, Reversible Concrete Mixer Plant etc. We want to emerge as a leader in the wider business area of road and construction machines by fully capitalizing its expertise, know-how, technology and dedication. providing expertise and delivering globally recognized technology that gives our customers a peace of mind. Right from the beginning the philosophy of the company is to manufacture world class quality product and thus company has earned very high reputation in the market. We believe that a satisfied customer helps us grow our business and our motto is to provide complete satisfaction to all of our esteem customers. The goal is to retain leadership by redesigning and building state of art construction equipments with the latest and proven technology in world.